Special Terms: Member rewards are not eligible on gift cards. Orders of $2,500 or more are not eligible for rewards; for orders of $2,500 or more please contact H&D Corporate Sales Department. 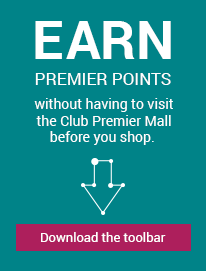 Member rewards are not valid for purchases made with a coupon or discount code not found on this site, gift certificates, cash equivalents, alcohol products, selected cookie card products, merchandise value (this does not include shipping and taxes) are also not eligible for rewards Purchases made offline are not eligible for rewards. Standard Shipping charges are intended to cover the costs incurred to process, prepare, and transport your order and related customer service. Standard rates are based on the non-sale price, as detailed in the charts. Please Note: Shipping & Processing is calculated using the regular price of merchandise before tax is applied. We must collect state and local taxes for shipments to the following states: AL, AR, AZ, CA, CO, CT, DC,FL, GA, HI, IA, ID, IL, IN, KS, LA, MA, MD, ME, MI, MN, MO, NC, ND, NE, NJ, NM, NV, NY, OH, OK, PA, RI, SC, SD, TN, TX, UT, VA, VT, WA, WI, WV and any additional states in which we establish a presence. The taxability of wine, food, candy, or combination items varies by state. Delivery & processing will be taxed when the product is taxable. We automatically calculate taxes for telephone and Internet orders. Tax is only an estimate. Applicable taxes will be applied when your payment is processed. We accept VISA, MasterCard, Discover Network, American Express, JCB Card and Diners Club – please include card number and the month and year it expires. To pay for Internet orders using your PayPal account, click the “Check out with PayPal” button when viewing the Payment Page in your cart.